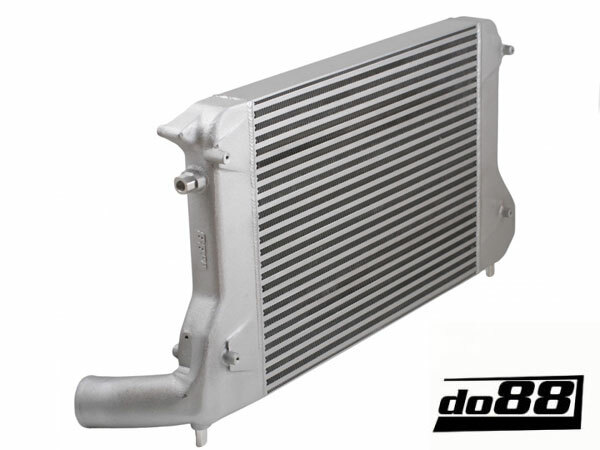 A performance Intercooler developed by do88.se, thoroughly tried and tested, replaces the OEM Intercooler with significantly improved performance. 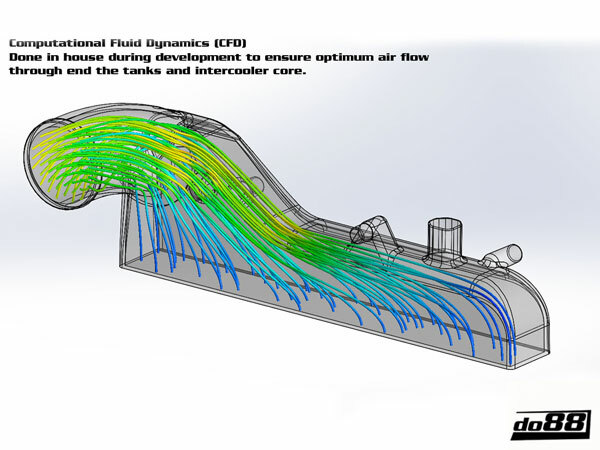 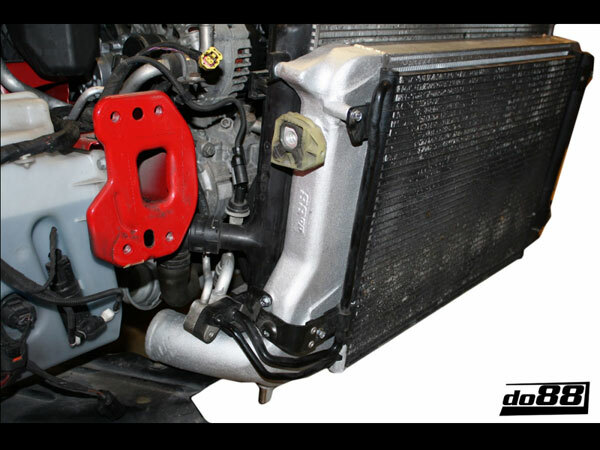 DO88 Performance Intercooler is an all Aluminium construction with CAD designed, flow optimised cast end tanks and optimised core design to achieve the best possible cooling efficiency combined with the lowest pressure drop. 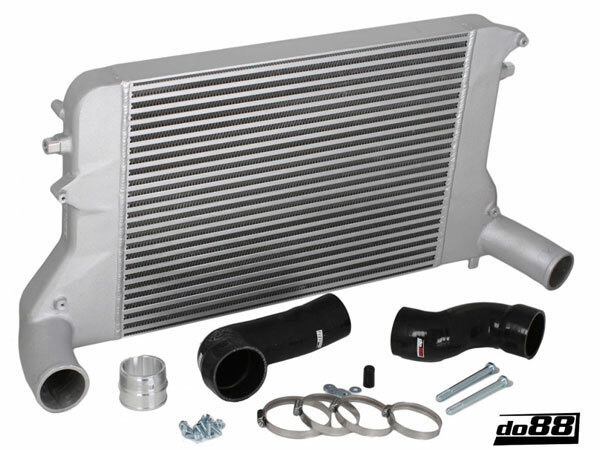 This Intercooler includes 4 layer Silicone polyester fabric Inlet and Outlet Hoses as well as complete fitting kit for ease of installation. 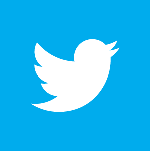 Core: Volume: 13 342 cm³ (7676 cm³) DO88 is 74% larger! 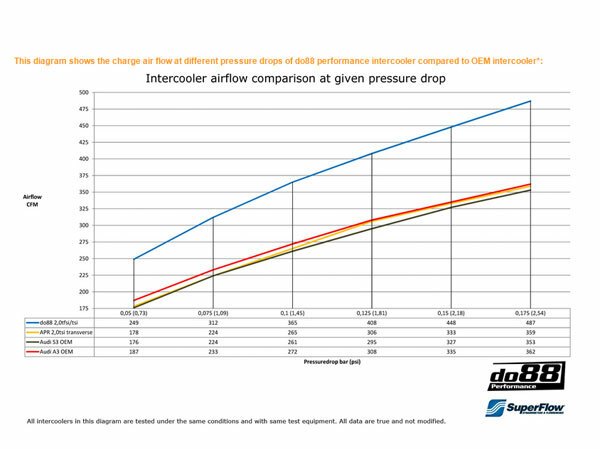 Air flow at 0,15bar/2,18psi pressure drop: 448CFM (335CFM), DO88 34% higher! 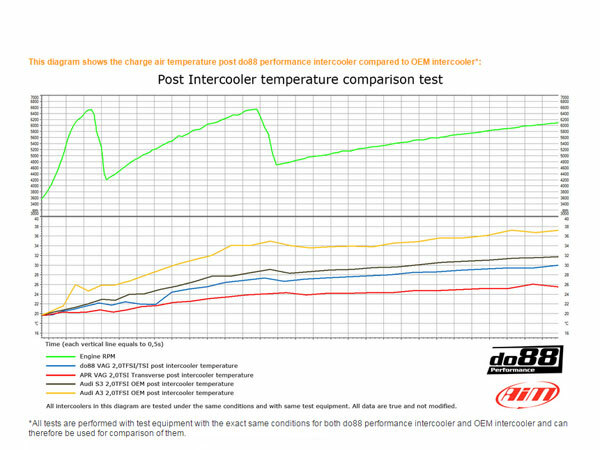 Post intercooler air temperature at same conditions: 29°C (37°C), DO88 8°C lower!